Karkloof Nature Reserve forms part of the KwaZulu Natal Midlands Meander. It is situated in the Natal Midlands, 22km north of Howick on the road to Rietvlei. The reserve has 936 hectares of indigenous forest. The Karkloof Nature Reserve currently consists of about 40% mist-belt grassland and 60% mist-belt forest, ranging from 1,000 to 1,767 meters above sea level. It is home to numerous endemic and near-endemic species of fauna and flora that can be found in the reserve which include the Karkloof blue butterfly, samango monkeys, dwarf chameleon, bushbuck, and crowned eagle. There are also about 100 species of birds in the area which means that bird watching at Karkloof Nature Reserve can be a very rewarding activity. The endemic guinea fowl can be spotted in the reserve as well as the endangered Cape parrot, crowned hornbill, orange ground thrush, lemon dove, red-necked spurfowl and the wattled crane. The Karkloof Nature Reserve is also home to Crowned and Martial Eagle which breed among the yellowwood and black stinkwood trees. For birders, it is a real opportunity for sightings given that such a wide range of species are found within such a short range. Karkloof Falls can be found along Karkloof road traveling out of Howick. The beautiful and dramatic Karkloof Falls is a 105-meter- high plunge over the cliff at Shafton Grange. It is known by the early settlers as “the most beautiful waterfall in the land”. The area around the falls includes braai and picnic facilities, so you can enjoy a meal in the tranquility of nature. Karkloof Canopy Tour this is a one-of-a-kind eco-experience that is all about fun and adventure tour gives visitors a bird’s eye view of the forest while suspended 40 meters above the ground. It involves traversing from one platform to another along a steel cable. The platforms have been put around the trees using a tension system that does not damage the trunk and the steel cables dangle between these platforms. The Karkloof Canopy Tour comprises 12 platforms and 10 slides which are built high up in the forest canopy and provide unforgettable rides and spectacular views of the surrounding forest, clear sparkling forest stream, a magnificent 20-meter waterfall and the expansive Karkloof valley far below. The tour begins with a detailed safety briefing followed by a ‘Kitting up’ session where full body harness, pulleys, and climbing equipment are put on and checked for safety. Traversing through the platforms begins after a short scenic drive to the top of the Karkloof Valley. To ensure safety, all groups are safely harnessed in state of the art climbing gear and escorted through the forest canopy by a lead guide and a follow guide. The professional guides also provide interesting facts about the forest ecology during the tour. The Karkloof Canopy Tour takes around two hours to complete and is suitable for everyone between the ages of five and 80 years of age. The spectacular scenery, long swooping slides over the forest canopy and the wider views across the beautiful Karkloof valley makes the Karkloof Canopy Tours a must-try for all travelers with a taste for adventure. 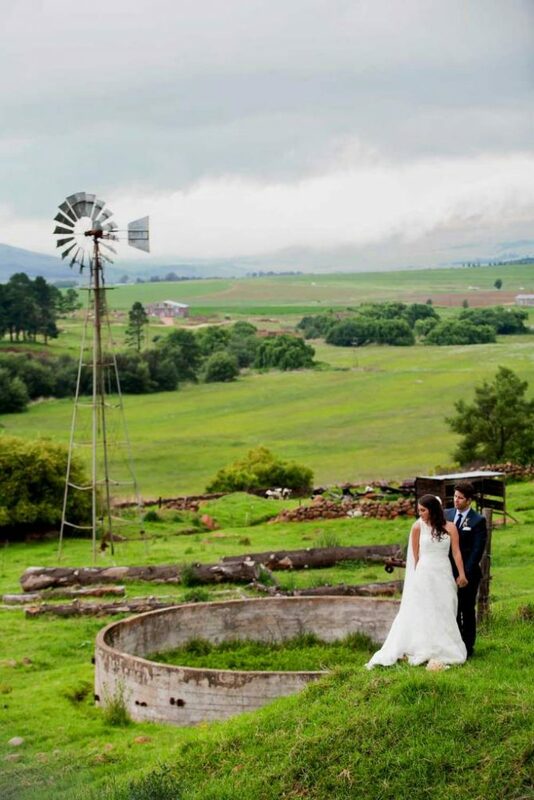 The Karkloof Nature Reserve certainly one of the must-visit spots in the Midlands Meander. A visit to the Midlands Meander will not be complete without spending time exploring the reserve through the Karkloof Canopy Tours. The Midlands Meander extends from Rietvlei and Currys Post in the east to the Dargle Valley and Fort Nottingham in the west. It has naturally beautiful panoramic views, cattle farms, rolling grasslands, quaint villages, horse studs, and welcoming communities. 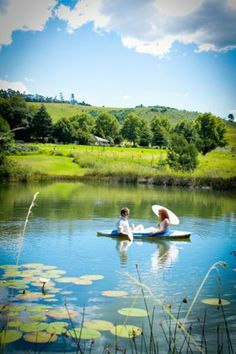 The Midlands Meander is not only renowned for its outstanding natural beauty but also of the exciting activities it has to offer. There is so much to explore in the Midlands Meander. There are weavers, wood-crafters, potters, artists, leather workers, cheese makers, metalworkers, beer brewers, box makers, herb growers, and much more. That is why Midlands Meander is known as the “arts and crafts route“. The Midlands Meander was the brainchild of a small group of local potters, artists, and weavers who envisioned to promote their work to a wider audience. They decided to invite the public to visit and meet the artists in their countryside studios. Entrepreneurs then joined together in creating the route that showcases the very best the region has to offer. Over the years, the route now offers more than exceptional arts and crafts with more than 150 members. Because of the array of activities available, quite a large number of visitors visit in Midlands Meander every day. The Gowrie Farm Golf Course is a 9-hole course with lush green pastel colored grasses, hilly landscapes, and friendly inhabitants. The views are quite breath-taking in the golf course and are exciting to play on. The course has been regarded as “the finest 9-hole course” and is quite a challenge to the beginners. The Albert Falls Dam Nature Reserve which is established in 1975 offers wonderful game viewing, boating, fishing and rock climbing opportunities. It is only a half-hour’s drive from both Durban and Pietermaritzburg. Located in the reserve is the Albert Falls Dam which is known to be one of the best bass fishing dams in the world. The area around the Albert Falls Dam is filled with secluded nature trails and picnic spots. Wildlife in the reserve includes zebra, red hartebeest, springbok, oribi, giraffe, and rhino. The Howick Falls is just outside Pietermaritzburg. It is also known as KwaNogqaza which means the ‘place of the tall one’. This is because the waterfall is a 95-meter cascade into a broiling, restless pool. The falls is said to be the place of the spirits of ancestors. According to local legends, a giant snake-like creature Inkanyamba lived in the falls and that only sangomas are safe to close to the falls. The Dargle Conservancy lies in the midst of the unrivaled beauty and untouched countryside of the Natal Midlands. fauna and flora are abundant in the area. It is also home to rare animal species such as Cape Parrot, oribi, crane species, Cape leopard, dozens of frog species. There are more than 200 bird species, the most common are Cape batis, Knysna loerie, ground woodpecker, African grass owl, crowned eagle, southern black flycatcher, olive woodpecker, the colorful Narina trogon, emerald cuckoo, and African spoonbill. Because of these, visitors are encouraged to keep their eyes and ears open and their cameras ready for some special encounters. The conservancy is devoted to the protection and conservation of the wonderful array of plants and animals found in the region. It aims to showcase the wildlife to local and international visitors. The Dargle Conservancy also aims to increase biodiversity and strengthen the food chain by caring for and upping the numbers of the wildlife in the area. The Swissland Cheese is one of a couple of cheeseries you can visit in Midlands Meander. Their products are predominantly goats milk cheeses in a Swiss-chalet style. Not only can the visitors taste the cheese, but also witness the daily goat milking and learn about the cheese-making practice. A visit to the Midlands wouldn’t be complete without a bit of cheese tasting at the family-run Swissland Cheese.